It’s the “Aurora Edition” of our best-selling Ring Road Tour! 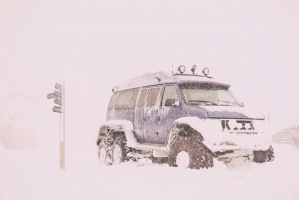 You‘ll visit all the must-see attractions of the legendary Ring Road with the added beauty of an Icelandic winter. 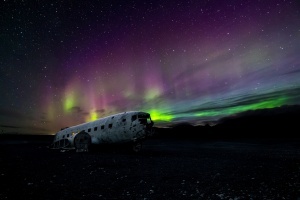 You‘ll also have the added value of overnighting in areas ideal for spotting northern lights on cold, clear nights! Plus traveling during this time of the year means fewer crowds and more of Iceland’s peaceful, tranquil nature. Popular places visited include the Glacier Lagoon, Lake Mývatn and all the famous sights of the Golden Circle. Options: If you have added extra nights in Reykjavík before your tour, the guide will meet your group for the start of the tour on Day 2 according to the standard “Winter Iceland Complete” itinerary. Breakfast at your hotel. Start the day with a short city sightseeing of Reykjavik. From Reykjavik head through the greenhouse village of Hveragerdi. 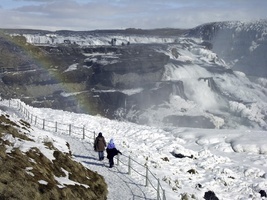 Head on to the Golden Circle natural wonders. Explore Gullfoss, the “Golden Waterfall”, and the nearby Geysir hot spring area to see the famous Geysir and Strokkur, as well as numerous other hot springs and boiling mud pools. Continue along the south shore and stop to admire the waterfalls Seljalandsfoss and Skogafoss before continuing to Dyrholaey and the black sand beaches of Iceland’s South Shore. Continue to the village of Vik. Breakfast at your hotel. Continue your journey on the Ring Road. Cross Eldhraun, the largest lava flow recorded on the planet in historical times. 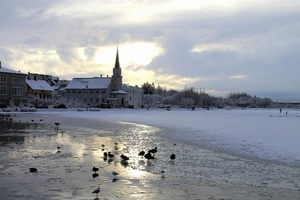 Visit Kirkjubaejarklaustur town, the former site of a 12th-century Catholic convent. The tour continues over Skeidararsandur sands to Skaftafell, a beautiful glacial area within Vatnajokull National Park. Continue to the stunning Jokulsarlon Glacial Lagoon to see the birthplace of icebergs. 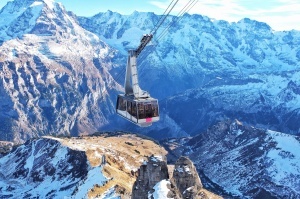 Throughout the day you will also enjoy magnificent views of the mighty Vatnajokull Glacier. Breakfast at your hotel. Drive from Hofn through Almannaskard pass, stopping to admire the majestic coastline. Continue to the towering mountains plunging vertically into the sea that form the magnificent East Fjords. Enjoy the amazing views: keep an eye out for wild reindeer, which can sometimes be seen in the area during the winter months. You’ll also pass villages, each with its own special history and charm. The road brings you to Egilsstadir town, located near Iceland’s largest forest and a lake said to be home to a legendary (friendly) monster. The area is also getting a name for itself for its excellent locally-sourced cuisine. Breakfast at your hotel. Explore the empty vastness of the highland desert plateau Modrudalsoraefi as you head towards the Lake Myvatn area. On the way, stop at Dettifoss, Europe’s most powerful waterfall. Continue onwards to Namaskard pass with its boiling mud pools and vibrant colours. Explore the natural beauty of the Lake Myvatn area, including the pseudo craters at Skutustadir and the Laxa Salmon River. Breakfast at your hotel. Start the day by exploring the peculiar lava formations at Dimmuborgir. Visit the magnificent Godafoss waterfall and the old turf farm Laufas. Afterwards, visit Akureyri, the colourful northern “capital „of Iceland. The town has charming buildings and beautiful view of the Eyjafjordur Fjord. After spending some time in Akureyri, continue along the coastal roads of Eyjafjordur and the Troll Peninsula. This is a beautiful drive along steep mountains with amazing views over the Arctic Sea and black sand coastline. The destination is Siglufjordur, set in a beautiful fjord of the same name. This town has some of the finest timber buildings in the country, beautifully restored to their original glory. The evening and dinner is on your own at one of the town´s restaurants. Siglufjordur is a very enjoyable and friendly town for an evening stroll. 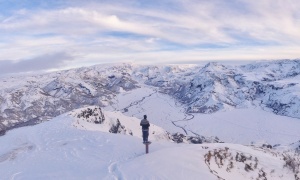 Dinner and overnight in Siglufjordur. Breakfast at your hotel. This morning visit Siglufjordur’s award-winning Herring-Era Museum. The museum recreates the atmosphere of the early 20th century, when Siglufjordur was transformed into a herring boom town, thanks to a large migration of herring. Afterwards, head along majestic mountains and narrow passes to Skagafjordur, considered to be one of the finest places in Iceland for horse breeding. Enjoy an introduction to the unique Icelandic horse breed with its special fifth gait – the tolt. Continue towards the village of Blonduos built on both sides of the river Blanda. Hrutey Island, a protected nature reserve, sits within the centre of this popular Salmon River. Cross the Holtavorduheidi plateau through Borgarfjordur to the beautiful town of Borgarnes. Breakfast at your hotel. Drive to Deildartunguhver, the most powerful hot spring in Europe. Stop to admire the beautiful Hraunfossar waterfalls before continuing via Hvalfjordur fjord to Lake Thingvallavatn, Iceland’s largest lake and Thingvellir National Park. This UNESCO heritage site is where the world‘s oldest continuing parliamentary government was founded in the 10th century. It is also the place where the North American and European tectonic plates meet. Breakfast at your hotel. Transfer to the airport not included. We advise departing your hotel no later than three hours before your international flight. Airport transfer is not included, but we are happy to help you arrange shared or private transfers. The Iceland Complete tour was one of the best experiences in my life! Everything worked as planned. I want to thank Dora for her exceptional service. 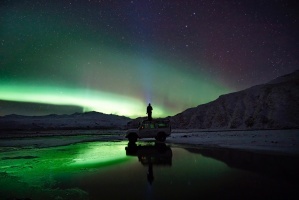 Northern lights wake-up calls at hotels on Days 2-7. The hotels offer the option that you will be awakened if northern lights are seen in the vicinity of the hotel during the night.